This translation was revised by Mr. Takahiro Katsumi, a professional translator and interpreter. I would like to express my gratitude to him for his great help. What did Dr. Katsuya Takasu say? Who is Dr. Katsuya Takasu? In order to justifiably censure Dr. Katsuya Takasu, a famous Japanese doctor and TV celebrity who made remarks regarding Nazism and Holocaust, I translated what he said via his twitter so far into English. Despite his numerous "revisionist" statements, the cosmetic surgeon who openly praises Nazi scientists has rarely been criticized by the Japanese media, most probably because he is one of the most influential sponsors of TV broadcasters in Japan. I think this situation is very unwholesome. Even though he has great influence over the mass media, newscasts should not wither from criticizing his improper remarks. I really hope that he withdraws all of his inappropriate statements and apologizes to all the victims of Holocaust promptly. Dr. Takasu finally started saying "Nazism is great". He's a completely different person that I knew when he was supporting Mikkity*. The Nazis actively supported hard-working women and also promoted sports. I have not changed. I've seen the photos of massive number of victims of epidemics and starvation, the crematorium, and the boiler rooms in the Auschwitz. Why is it a taboo to seek for the truth? There are silent voices in Germany that agree with me. There are also many people who [still] adore Mussolini in Italy. There is no doubt that the Jews were persecuted. But we only know it from hearsay and all of it is based on information from the Allies. Aren't we acting the same like the Chinese people who believe in the Nanjing Massacre? I only want to know the truth. Until we were defeated in the Greater East Asian War, Japan's medicine followed the German-style medicine. There was a remarkable progress in German medicine under the Nazi regime. So what is so wrong about being delighted to reunite with Hon. Prof. Kuroki who taught me this?! "The greatness of Nazism" -- What is wong with this statement? So wrong that it won't pass as an "improper remark". It means the [Nazis'] contribution to science. Today's nuclear technology, space development, as well as medicine -- all owe to the [studies conducted by the] Nazi scientists recruited by the Americans and Russians [after the war]. Look up for yourself. The Neo-Nazis are [just] a fashion. But we are scientists. The science developed by the Nazis is immortal . The Nazi scientists recruited by the Americans and Russians [after the war] were given special treatment and made great achievements in the development of space, nuclear technology, and medical science. I wonder how Dr. Takasu thinks about the fact that 200,000 people who were regarded as physically or mentally disabled were massacred by the so-called "German medicine under the Nazi regime"? I think it is the Allies propaganda. In the massive air raid of Tokyo [during the war], far many more people were massacred in one single night. I wonder how you people think about that. Thanks for the advice. 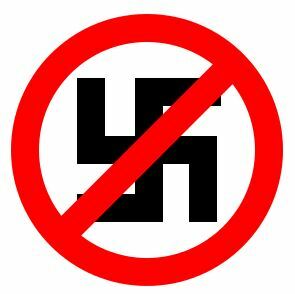 I am well aware how Nazis policies are being harshly criticized. But science has progressed remarkably under that very regime. Many of the scientific achievements that we enjoy today were the fruits of what they have invented and developed . So I thank my mentor. I think both the Nanjing and Auschwitz are fabrications. Counter-Racist Action Collective (CRAC), a Japan-based anti-racism and fascism group briefly explained who Katsuya Takasu is via its official twitter account. Please refer to the following tweets. The Simon Wiesenthal Center just issued an statement urging American Academy of Plastic Surgeons to expel Dr. Katsuya Takasu.